The starved minds of government officials do love to engross themselves in a witch-hunt, especially if the witch-hunt alleviates taxpayers of yet more of their hard-earned income. On September 1st 2010 the government implemented its long-intimated motor vehicle CO2 emissions tax. The levy was set at R75 (now R90) for every gram over a 120g/km threshold. Motoring enthusiasts and manufacturers alike, who’d for decades fixated on 0-100kph and top speed, suddenly had a new statistic to ponder. 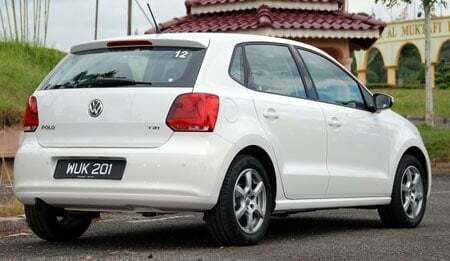 But timing wasn’t great for Volkswagen’s Uitenhage plant that had just begun production of the current Polo (A05), persisting with locally manufactured EA111 MPI engines for SA consumption. It would take four years before a TSI course correction could go ahead in the fifth-generation facelift. Just as the fifth-gen Polo evolved from the value-for-money ethic of the preceding Polo, so the carefully considered facelift car tested here seeks to raise the quality and premium feel yet further. This it accomplishes without conspicuous exterior trinketry. It’s still a Polo but subtly enhanced with inched-up wheels and chrome cursive on the nose for people to take notice. 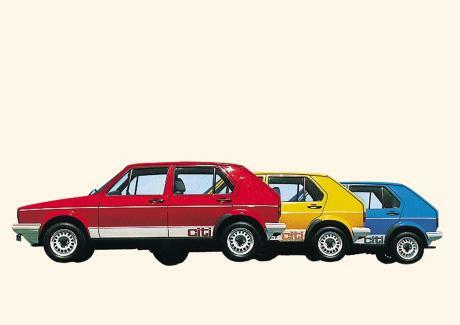 Refreshingly, however, the Polo is still ubiquitous enough to hide in plain sight, making it a small car devoid of social climbing ambition. Something I value greatly in a modern hatchback. 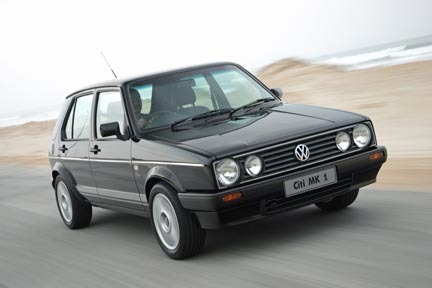 Nowadays you’d be forgiven for assuming there is real integrity to the Polo. Then you grab hold of the door pull to climb inside and that action reinforces the sentiment tenfold. This is a high-quality small car. A firm thud as the door closes behind you is genuinely pleasurable as it quells all outside noise. It just feels so robust and well screwed together. The cabin isn’t cavernous but the ambiance is uncluttered and there’s a pleasant synergy of shapes to relax the eye. Every contact surface the driver has with the car is well considered. The front centre arm rest, while appearing intrusive at first is not only useful with its storage box but helps maintain an intuitive ten-and-two hand position on the tactile leather steering wheel. The soft leather wrap on the gear knob demands much fondling, too. It might sound coy but I even like the rear view mirror: thin framed and wide in angle, it amplifies your view out the back superbly. The steering wheel audio controls are a little counter intuitive for the ‘everything-in-its-place’ Germans. Track up/down on one side with (optional) cruise control, while volume up/down mixes it with the trip computer buttons on the other. The standard sound system is powerful, comes with a USB port, and is operated through a five-inch touchscreen that takes pride of place in the middle of the dashboard but needs a surgeon-steady hand to navigate accurately. All in all though, the ergonomics on offer for a humble B-segment car are second-to-none. Even more car tests by the Best Car Review Magazine. Highly maneuverable in tight city car parks and clogged urban streets; the Polo feels like it can outmaneuver other good small cars at the drop of a hat. The Polo rides firmly, sportily even, with its new 16-inch wheels a constant presence of the road can be felt through the seat and steering feedback. 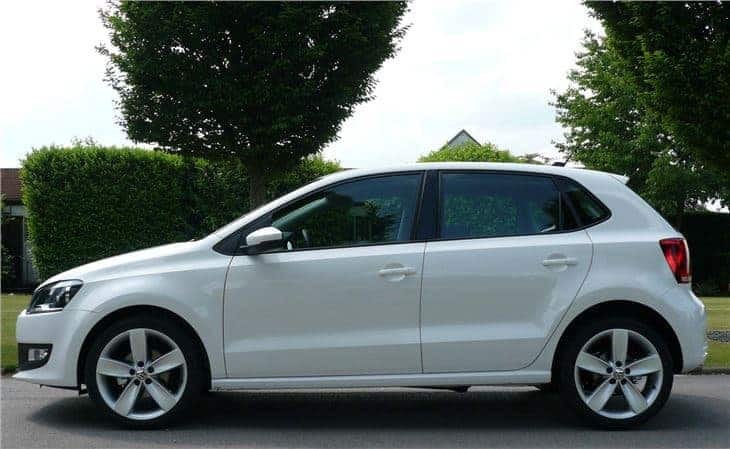 The power steering is electro-mechanically assisted but not variable ratio, which leaves it feeling a little 2010, but while you do apply more steering lock than you would in a Golf it is unquestionably accurate. I was surprised by the sportiness over the test period, but ride quality wise, the MQB platform from the Golf has moved the game along for VW as far as damping sophistication goes. 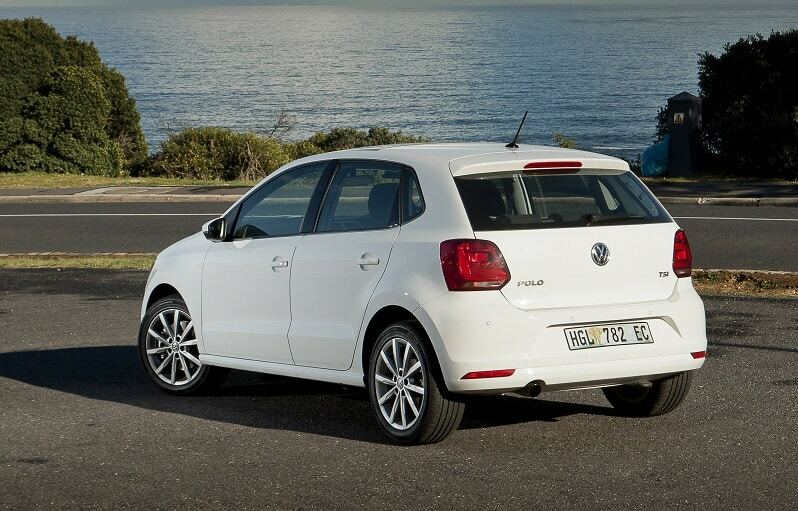 There is progress to be made in making a more compliant, cossetting ride in the sixth-generation Polo.